Kurzweil 3000 is a powerful reading, writing, test taking and learning tool that can make the curriculum accessible for those who struggle to write or access print. Please see the detailed explanation of how to order your licence/s below before placing an order. Example 1: If you require only 1 single user licence, purchase 1 x 1-2 licences each. Example 2: If you require 3 single user licences, purchase 3 x 3-9 licences each. Example 3: If you require 8 single user licences, purchase 8 x 3-9 licences each. Example 4: If you require 22 licences, purchase 22 x 20-49 licences each. Example 5: If you have already purchased a number of single user licences from Inclusive Technology and require further licences, then purchase the licences within the relevant price bracket i.e. you already have 6 single user licences and require 5 further licences, purchase 3 x 3-9 licences each and 2 x 10-19 licences each. Kurzweil 3000 can read text aloud from digital and print formats while providing the structured support necessary to enable individual success. Kurzweil 3000 is particularly appropriate for those with specific learning difficulties including dyslexia or those with visual impairment as well as learners with physical difficulties or who are learning English as a second language. Kurzweil is one of the most comprehensive and integrated solutions for addressing language and literacy learning difficulties. 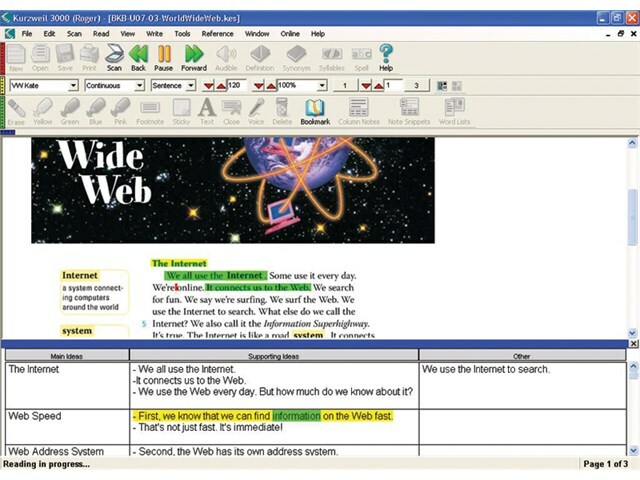 It takes a multisensory approach, presenting print or electronic text on the computer screen with added visual and auditory accessibility features. It supports the complex tasks of vocabulary development, comprehension support, study skills and writing support. Text to speech support for reading and writing. Talking spell checker, dictionary and thesaurus. Study tools including bookmarks, highlighting and sticky notes. Writing tools including word prediction and word banks. Outlining and concept mapping tools. Reads out web pages or online books. Access to digital text in formats including HTML, PDF, DAISY, DOC, TXT, RTF, TIFF and scanned documents. Convert any text to an audible MP3 file. Independent test taking, with talking tests and worksheets. 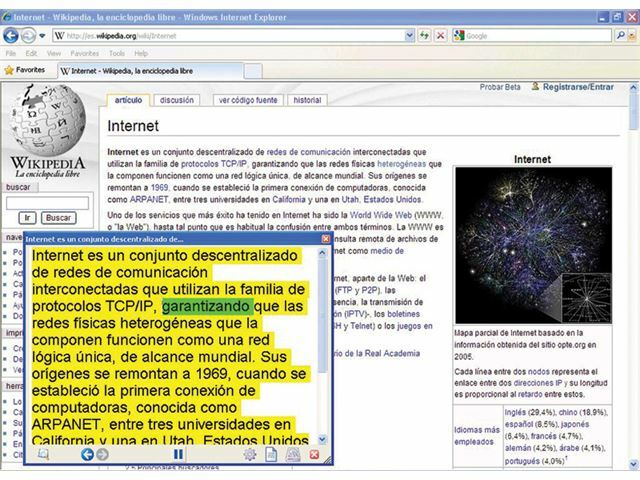 Translate text to and from Spanish, French, German, Italian, Portuguese, Finnish, Polish, Dutch, Swedish, Danish and Norwegian. Multilingual, high quality text to speech throughout. 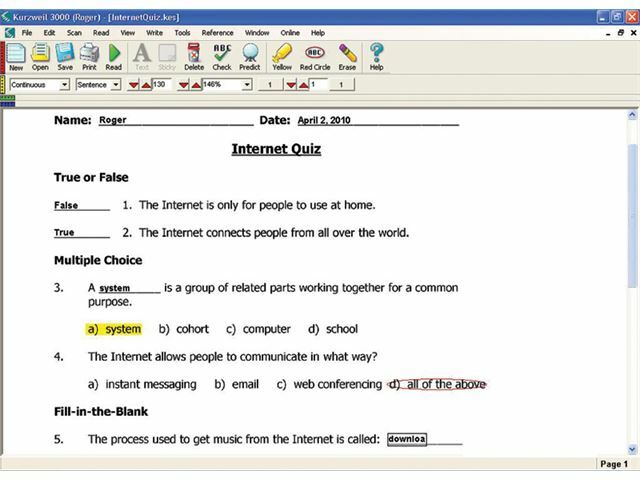 Kurzweil provides reliable digital access to curriculum materials, tests and quizzes, while maintaining the formatting, images and integrity of the original document. It includes the highest quality Optical Character Recognition (OCR) technology to reproduce scanned documents. Kurzweil 3000 provides the same user interface regardless of whether learners are reading, writing, comparing notes or taking a test…they can learn it once and use it forever! Students can toggle toolbars on or off as needed…no need to switch programs or learn new navigation during the transition from reading and research activities to the writing process. All of Kurzweil 3000’s toolbars can be customised to meet any specific objective. Access to all major digital file formats and printed materials. 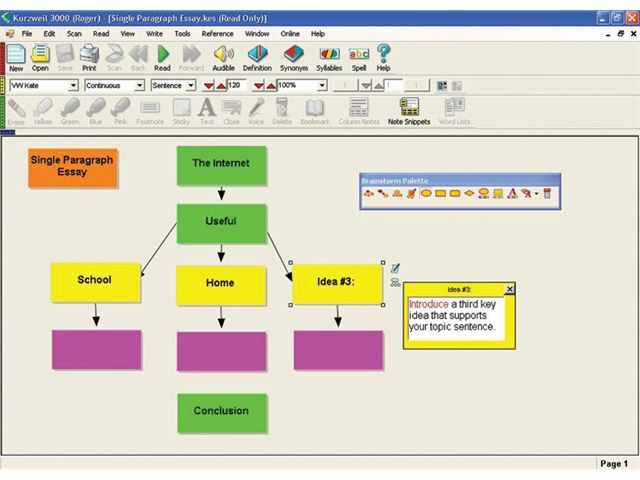 A single user interface containing all the tools needed for academic success. Support for fluency, vocabulary, comprehension, writing, study skills and test taking. Tools for research based study skills and writing strategies. A platform for whole class, small group or individual teaching.